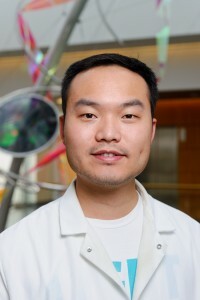 Shan-Lu Liu, Bond LSC scientist and associate professor in the MU School of Medicine’s Department of Molecular Microbiology and Immunology. Courtesy Justin Kelley, University of Missouri Health System. Shan-Lu Liu initially thought it was a mistake when a simple experiment kept failing. But that serendipitous accident led the Bond Life Sciences Center researcher to discover how a protein prevents mature HIV from leaving a cell. Proceedings of the National Academy of Sciences published this research online Aug. 18. The TIM – T-cell/transmembrane immunoglobulin and mucin – family of proteins hasn’t received much attention from HIV researchers, but recent research shows the protein family plays a critical role in viral infections. From Ebola and Dengue to Hepatitis A and HIV, these proteins aid in the entry of viruses into host cells. But its ability to stop the virus from leaving cells remained unknown until now. Liu’s lab stumbled onto this finding in November 2011 when trying to create stable cells for a different experiment. 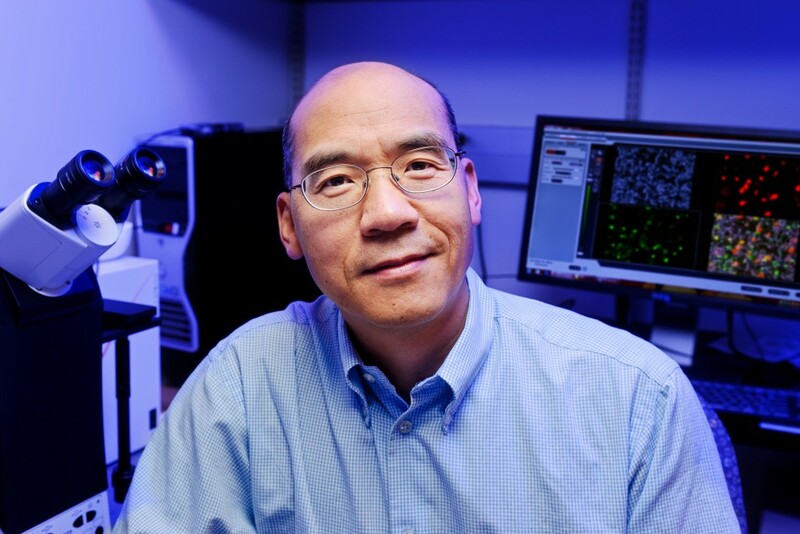 After two months of troubleshooting the HIV lentiviral vector – where genes responsible for creating TIM-1 proteins were inserted into a cell to create a stable cell line that expresses the protein – Liu was confident the vector’s failure was not only interesting but also important. Minghua Li, coauthor of the study and an MU Area of Pathobiology graduate student. Courtesy Justin Kelley, University of Missouri Health System. The lab spent the next two years trying to figure out what was happening. 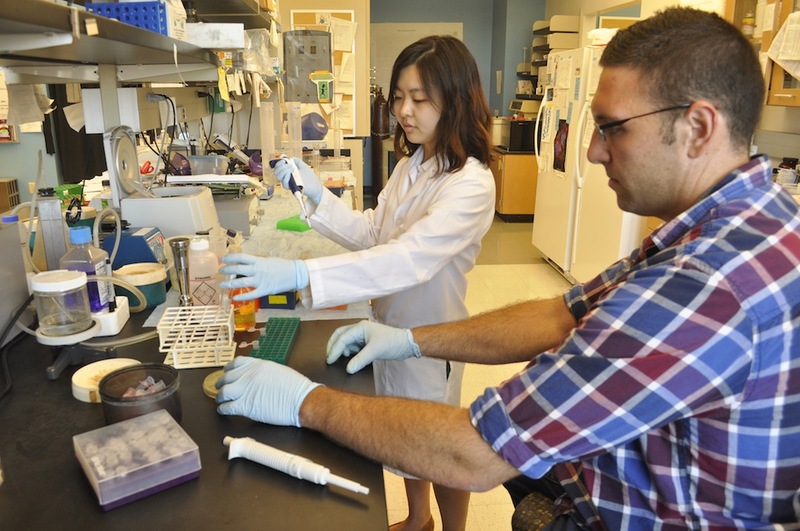 Minghua Li, an MU Area of Pathobiology graduate student, carried out experiments that confirmed the protein’s power to inhibit HIV-1 release from cells, reducing normal viral infection. His experiments showed TIM proteins prevent normal deployment of HIV, created by an infected cell, into the body to propagate. TIM proteins stand erect like topiary on the outside and inside surfaces of T-cells, epithelial cells and other cells. When a virus initially approaches a cell, the top of each TIM protein binds with fats – called phosphatidylserine (PS) – covering the virus surface. This allows a virus, such as Ebola virus and Dengue virus, to enter the cell, infect and replicate, building up a population inside. But as the virus creates new copies of itself, the host cell’s machinery also incorporates TIM proteins into new viruses. That causes problems for HIV as it tries to leave the cell. Now these proteins cause the viruses to bind to each other, clumping together and attaching to the cell surface. 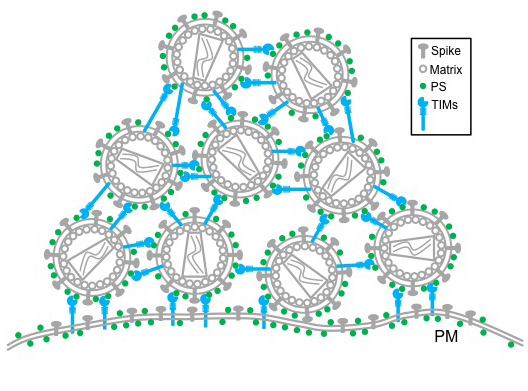 This model shows the interaction between TIMs and PS among the round HIV virions, as well as that between viral producer cells. This collectively leads to accumulation of HIV virions on the plasma membrane on the outside of the cell. Courtesy Minghua Li. Further research is needed to determine overall benefit or detriment of this curious characteristic, but this discovery provides insight into the cell-virus interaction. The National Institutes of Health and the University of Missouri partially supported this research. Additional collaborators include Eric Freed, PhD, senior investigator with the National Cancer Institute (NCI) HIV Drug Resistance Program; Sherimay Ablan, biologist with the NCI HIV Drug Resistance Program; Marc Johnson, PhD, Bond LSC researcher and associate professor in the MU Department of Molecular Microbiology and Immunology; Chunhui Miao and Matthew Fuller, graduate students in the MU Department of Molecular Microbiology and Immunology; Yi-Min Zheng, MD, MS, senior research specialist with the Christopher S. Bond Life Sciences Center at MU; Paul Rennert, PhD, founder and principal of SugarCone Biotech LLC in Holliston, Massachusetts; and Wendy Maury, PhD, professor of microbiology at the University of Iowa. 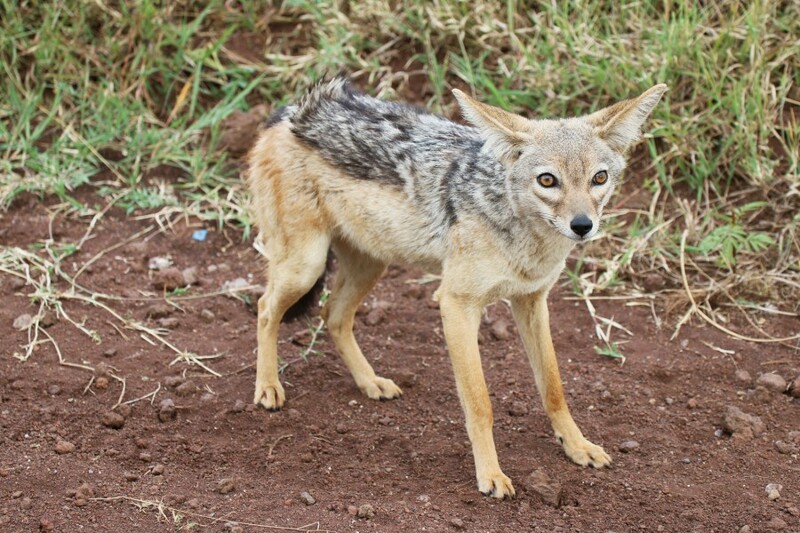 Read the full study on the PNAS website and browse the supplementary data for this work. See more news on this research from the MU School of Medicine. Carbon’s next-door neighbor on the periodic table typically receives little attention, but when it comes to corn reproduction boron fills an important role. According to University of Missouri scientists, tiny amounts of boron play a key part in the development of ears and tassels on every cornstalk. The July 2014 edition of the journal Plant Cell published this research. 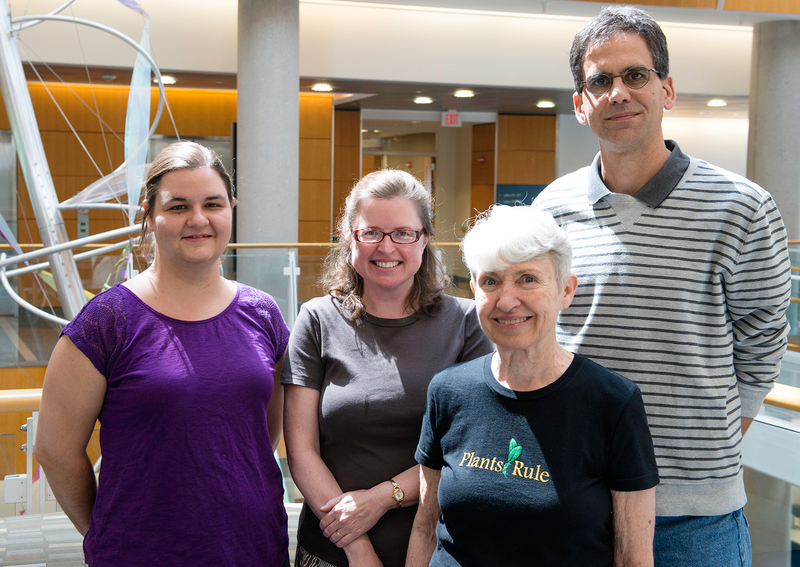 Amanda Durkbak, MU Biological Sciences post doc; Paula McSteen, Bond LSC researcher and associate professor of Biological Sciences; research specialist Sharon Pike; and Walter Gassmann, Bond LSC researcher and professor of Plant Sciences. Meristems are a big deal to a plant. These pools of stem cells are the growing points for each plant, and every organ comes from them. They are how plants can survive for 500 or 5,000 years, continuously making new organs in the form of leaves, flowers, and seeds throughout its life. But without enough boron, these growing points disintegrate, and, in corn, that means vegetation is stunted, tassels fail to develop properly and kernels don’t set on an ear. This leads to reduced yield. Missouri and the eastern half of the U.S. are typically plagued by boron-deficient soil, an essential micronutrient for crops like corn and soybeans, indicating that farmers need to supplement with boron to maximize yield. The team’s discovery started with a stunted, little corn plant that just couldn’t grow tassels, only created a tiny ear and died within a few weeks. These maligned reproductive organs piqued McSteen’s interest and her team of collaborators set out to figure out which gene was affected in this mutant plant. Graduate student Kim Phillips mapped the mutation to a specific gene in the corn genome involved in transporting molecules across the plant membrane. But, what was this defect preventing the plant from receiving? Two experiments helped find the answer. They started by looking at similar genes in other plants and animals. Simon Malcomber of California State University-Long Beach compared the gene – named the tassel-less gene after its mutant appearance – to similar genes in other plants and animals. He found that many were known to make a protein that transports boron and a few other elements. To clinch this hypothesis, McSteen looked to Bond LSC scientist Walter Gassmann and the African clawed frog. Gassmann harvests eggs from these frogs and uses them to “test” the function of genes from both plants and animals. Frog eggs don’t naturally have the ability to transport boron, so an uninjected egg in a solution of boron can’t move the element into the cell. A tank and a bucket guaranteed boron was the culprit. Durbak went back to the cornfield, watering some mutant tassel-less corn with boron fertilizer and other mutant plants with only water. Only the ones given boron recovered and grew like normal corn plants, showing that the mutant corn has difficulties obtaining enough boron under natural, low boron conditions without this boron transporter. The boron content of the plants were later tested at the MU Research Reactor and the MU Extension Soil and Plant Testing Laboratory, affirming their observations. But, what does boron deficiency look like on a cellular level? To see, the team collaborated with biochemist Malcolm O’Neill at University of Georgia. He looked at the cell walls in the plant and discovered that the pectin was affected. Pectin stabilizes the plant cell wall, and many home canners know pectin for its help in making jelly and jam solidify. Pectin is strengthened when boron cross-links two carbohydrates together, giving rigidity to the plant cell wall. 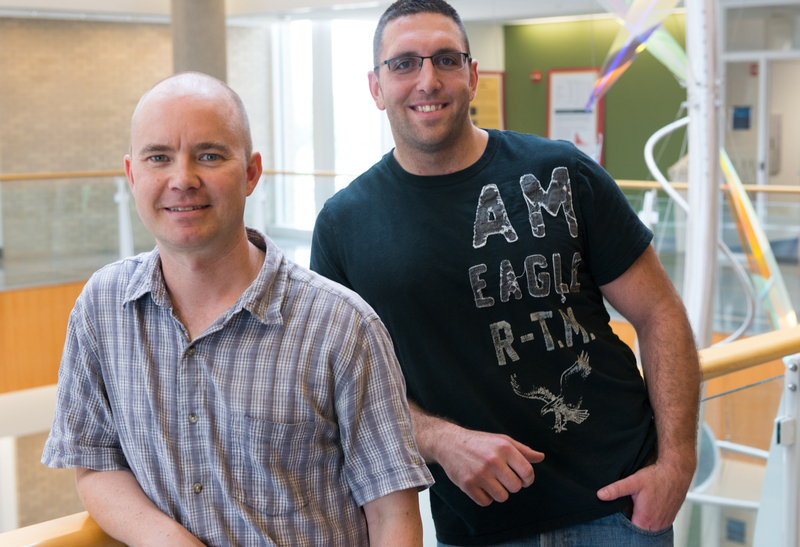 While McSteen’s team identified the gene that controls the protein for boron transport into a cell, a research team from Rutgers University identified a gene that controls the protein that transports boron out of a cell. See more about both studies in Plant Cell’s “In Brief” section. The next step in this research is to look more closely at what happens in these boron-deficient cells early on as they develop to understand the mechanism of boron action in stem cells. A grant from the National Science Foundation supported this research. In addition to their Bond LSC appointments, Paula McSteen is an associate professor of biological sciences in the MU College of Arts and Sciences and Walter Gassmann is a professor of plant sciences in the MU College of Agriculture, Food and Natural Resources. 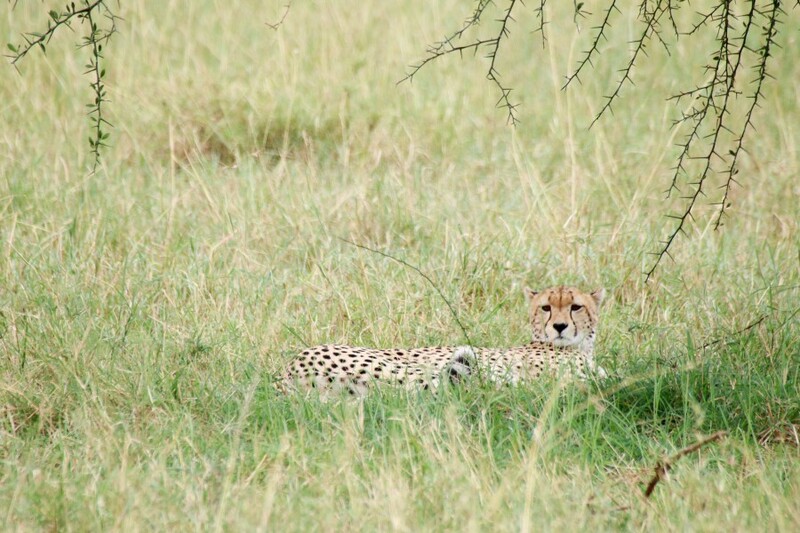 In a second travel log from Bond LSC researcher Cheryl Rosenfeld, learn about the wildlife she encountered in Tanzania this summer. 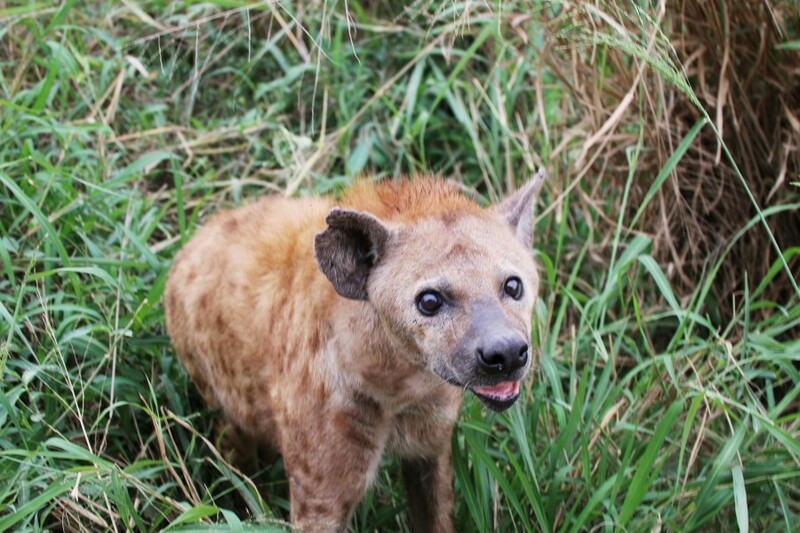 Through the North American Veterinary Community (NAVC), Rosenfeld furthered her veterinary education while encountering wildlife in their natural habitat. 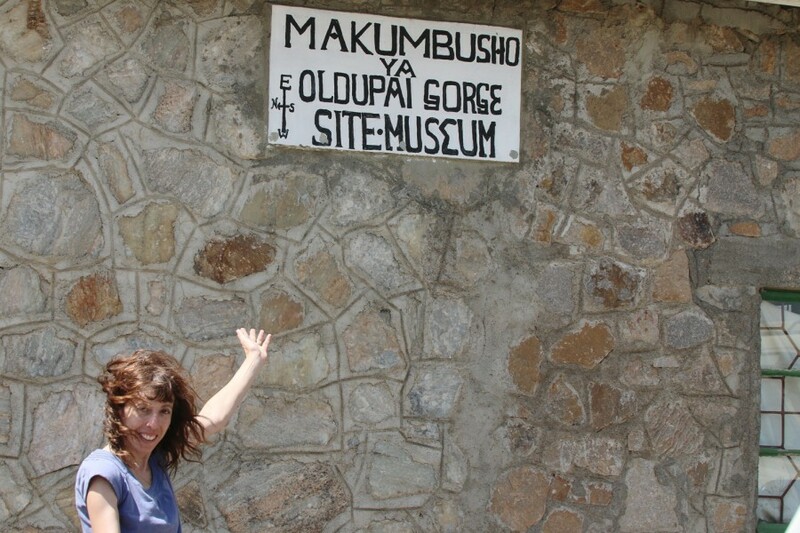 See more about the first leg of her trip to Rwanda here. 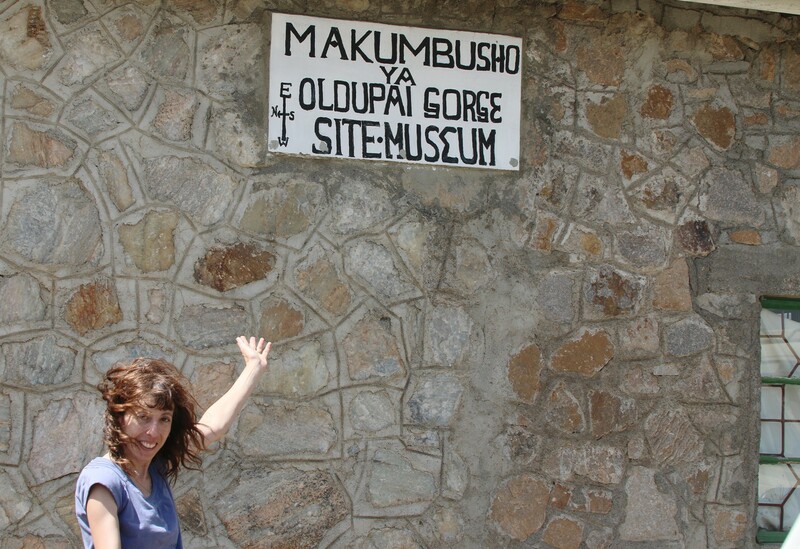 In the early morning hours, our group flew from Kigali, Rwanda to the Serengeti in Tanzania. As we began the descent to the dirt runway, we glimpsed our first sight of wildebeest and the awe-inspiring Serengeti plains and I soon boarded “tano,” Swahili for the fifth 4×4 in our convoy. 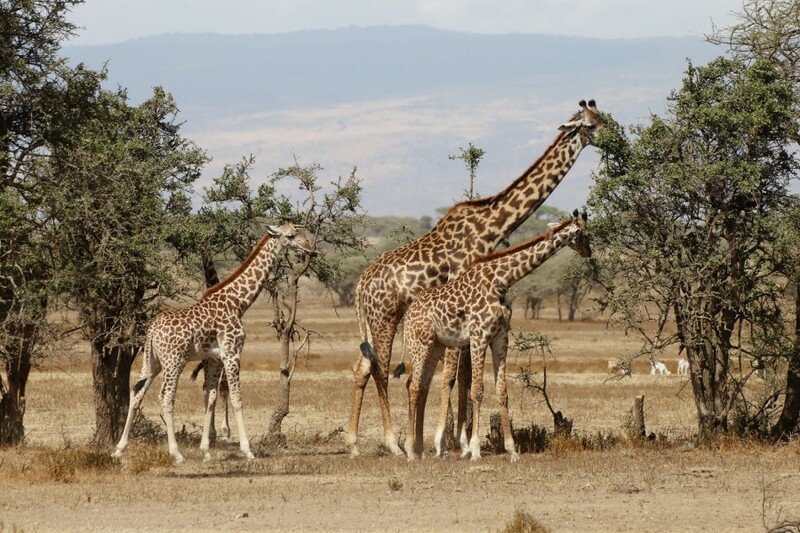 “Tano” soon came to have special meaning, as there are many groupings of five to see in Tanzania: “The Big Five, The Ugly Five, etc.” Emanuel, whose life-long ambition was to attend college to be a guide, led us to see all of these groups of five and then some. From the time we pulled away from the meeting spot, I started photographing animals on one side of the vehicle, but it seemed even more intriguing ones would appear on the other side of the road. 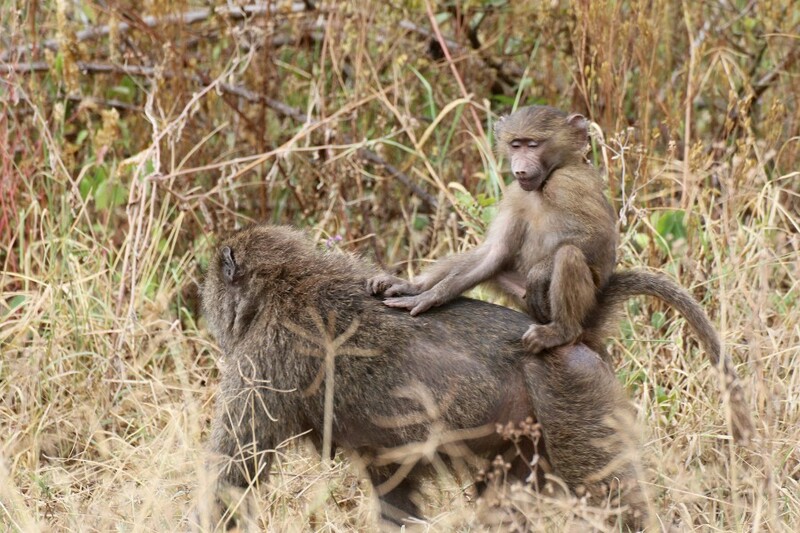 When the NAVC and our veterinary guide, Dr. Carol Walton, organized this trip, it was anticipated that the wildebeest would be in the Western corridor of the Serengeti but she was wrong. It’s no longer the case that the location of the wildebeest migrations can be projected with accuracy. Our lecture the first evening in Tanzania discussed how the wildebeest know to migrate and why past modeling of their migratory pattern is no longer accurate. Theories for the migratory nature of these animals include their ability to smell rain and/or changes in calcium concentrations in the soil. Wildebeest rely heavily on calcium to produce sufficient milk to nurse their calves that expend considerable energy keeping up with the herd. 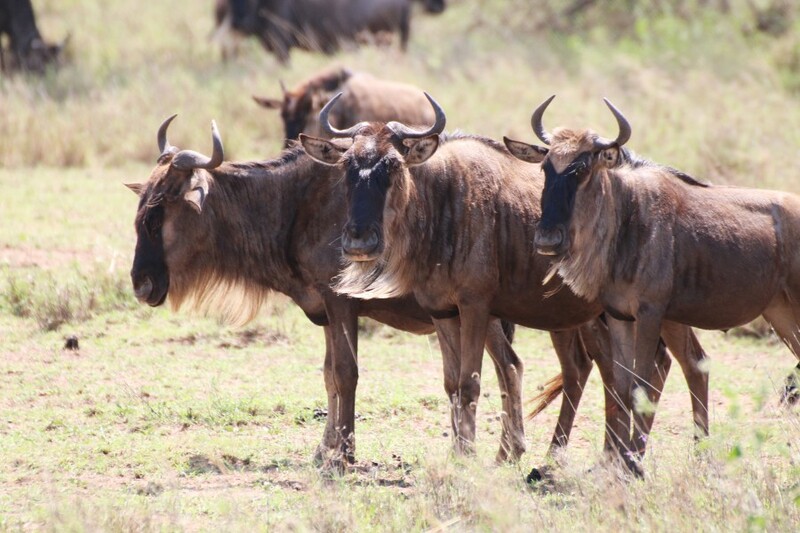 In the past, the rains, like the wildebeest migration, would occur in similar sites and times throughout the year. 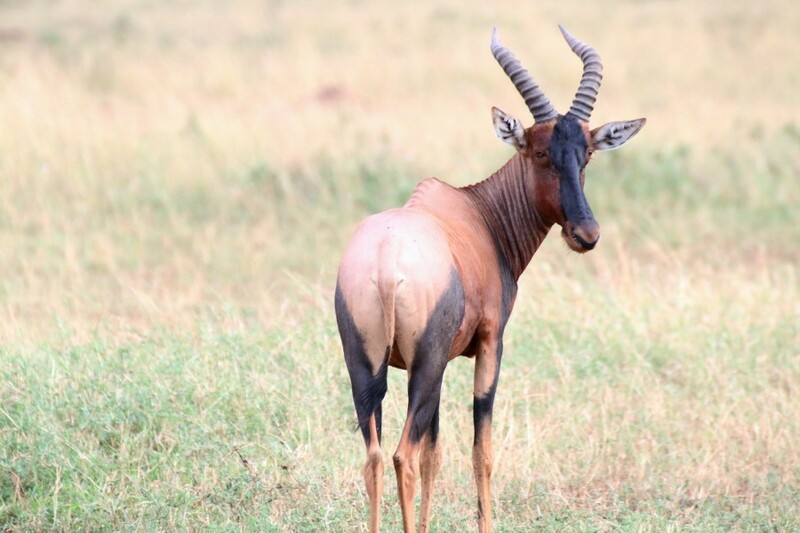 Climate change has likely contributed to the rainfall in these sites being less reliable and correspondingly, compromised forecasting where the wildebeest will be located throughout the year. This year the wildebeest decided instead to migrate to the central Serengeti region. Thus, the next day we set off on an over-three-hour journey to this region. 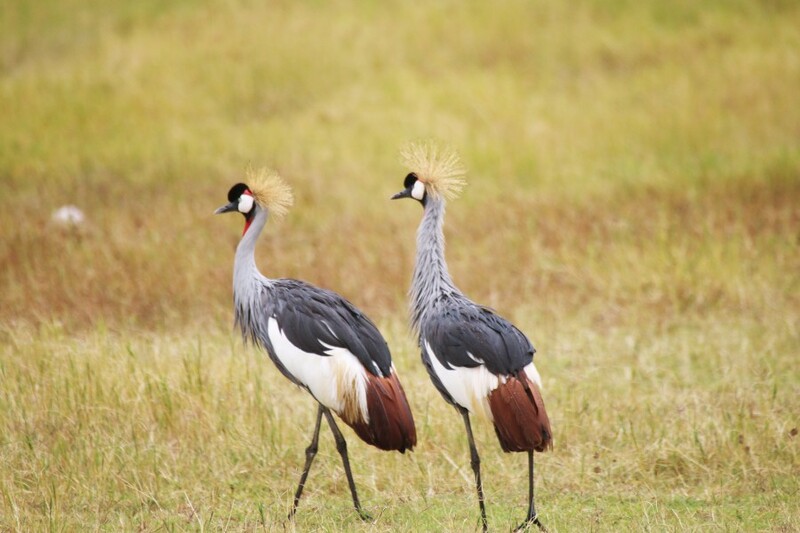 While driving to find wildebeest we came upon new animals and birds including Coke’s Hartbeest, several Masai giraffe, and topis, which seemed to be splattered with oil. Finally, the wildebeest herds starting increasing in size until it reached a crescendo. As far as one could look in all directions there were wildebeest: males, females, and an abundance of baby calves. Eating alongside them were many zebras and their babies, with brown fuzzy fur along their back-end. It was the most amazing spectacle any of us had witnessed. 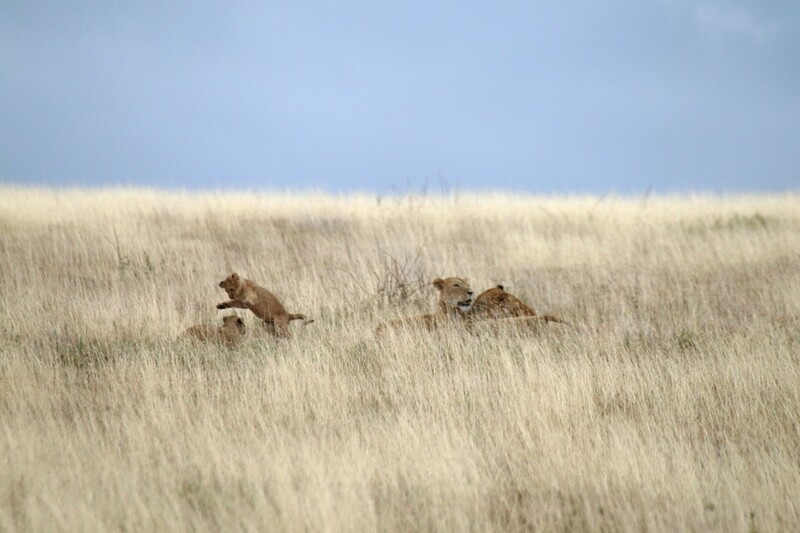 After seeing the vast wildebeest herds, we then came upon the elephants and lions, along with their babies. In the safety of the vehicle, we watched them engage in their natural behaviors for which no zoo experience can replicate. Both species were incredibly affectionate to the offspring and each other. In the case of the lionesses, each time the females, who were likely related, caught up with another that they had not seen in a short while would lead to emotional bouts of jumping on each other, caressing and licking. It was hardly the acts of a deadly predator. Yet, their existence rests on the wildebeest and other prey. With the wildebeest in this area, it seemed all life was flourishing at this time. A true paradise. However, even paradise is subject to outside threats. One such threat is the massive poaching of elephants in Tanzania and surrounding African countries with 40,000 being killed last year alone. 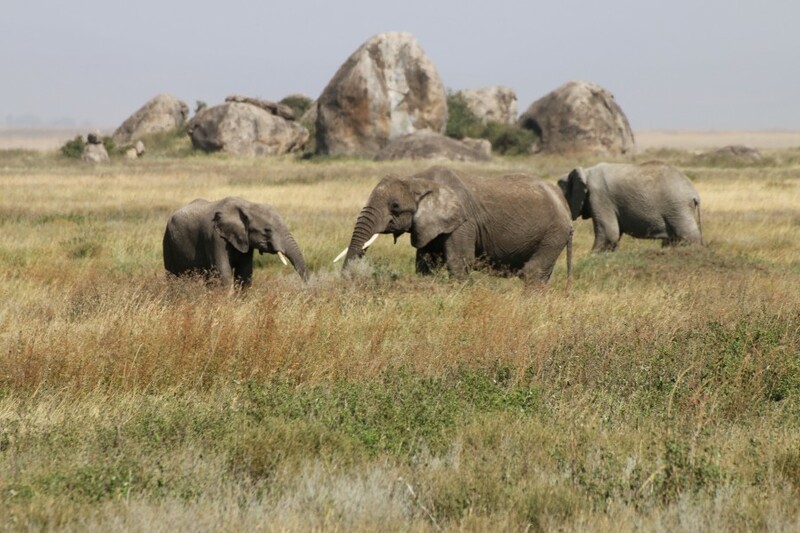 Prior to 2013, Tanzania had a “shoot to kill” policy for those caught poaching elephants or other endangered species. However, this rule has since been relaxed with the elephant numbers now in severe decline. At this unsustainable rate of poaching, the African elephant may go extinct in the wild in the next few decades. While we did see some groups of elephants, the size of each matriarch-led group seemed less than those depicted in Sir David Attenborough and National Geographic documentaries. 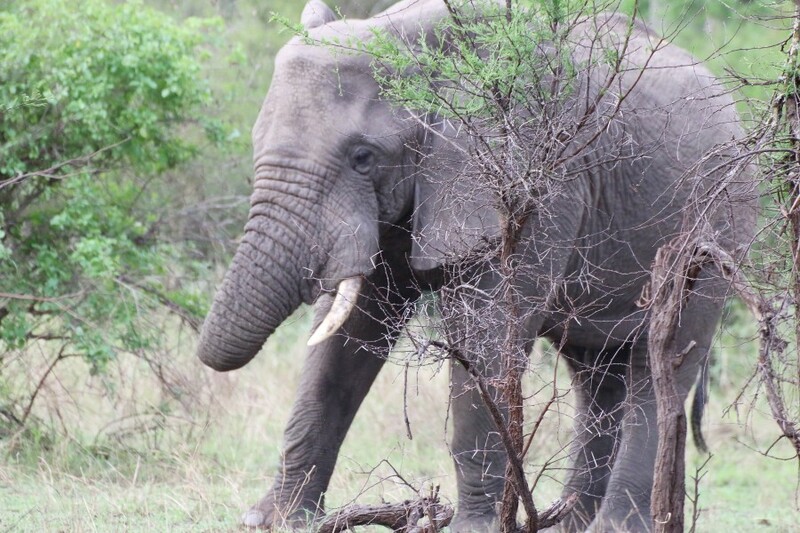 Moreover, one elephant that we came across, which I affectionately referred to as “Stumpy,” bore sad evidence of this brutal practice: He lost part of his trunk in a poacher’s snare. Without a full trunk, this elephant exhibited great difficulty grasping various plant items to place in his mouth. 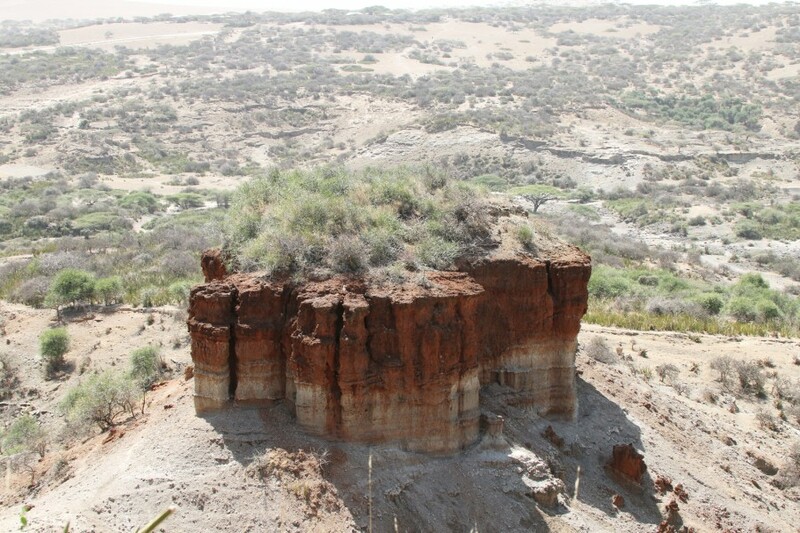 Our subsequent travel took us to the famous “Olduvai (which should actually be Oldupai) Gorge,” one of the most famous paleoanthropological sites, including the Leakeys’ famous discovery. From there we traveled to the Ngorongoro Crater, a gigantic fracture of the earth’s crust that provides habitat for some 30,000 animals, including the most endangered black rhinoceros that only has 20 to 30 left in this area. The difference between the black and white rhino lies not in their coat color but a structural difference in their lips with black rhino possessing pointed and prehensile upper lip to browse on twigs and leaves. 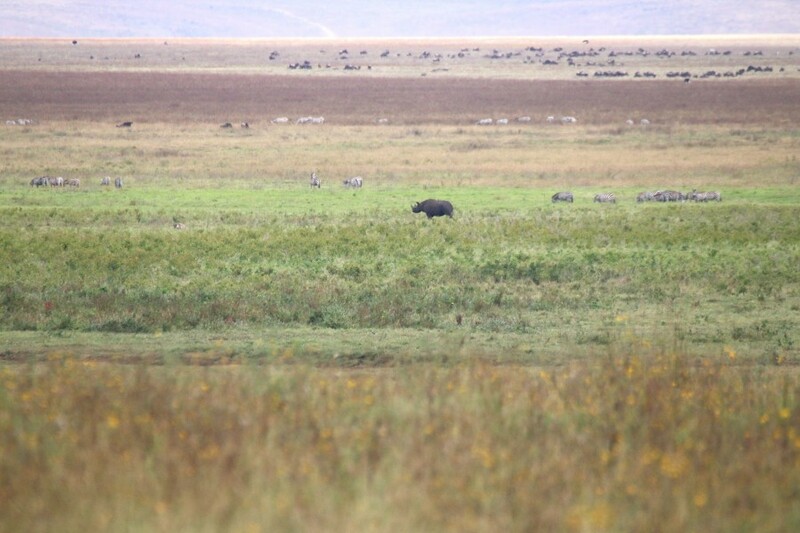 In contrast, white rhino possess a square upper lip to graze on the grasses below. When Dr. Walton convinced us to set off at first light, around 6 a.m., our goal was to find one of these amazing creatures. Once again, with Emmanuel’s assistance and eagle eyes, what started out as a black dot far off in the horizon began to morph into a recognizable rhinoceros. In utter delight, we strained our necks and photographed as this beautiful animal continued to move along and forage in the distance. It would be inhumane to allow this animal to go extinct. In the case of the rhino, many Asian countries believe that its horn increases male libido, which has never been proved to be the case. This mistaken notion possibly originated from the fact that male rhinos copulate with females for several hours duration. This behavior is, however, not transferrable to men who consume any part of a rhino. The list of species we saw in Tanzania continued to grow while we drove around the crater with black-backed and common jackals following alongside our vehicle, eland and grants gazelles grazing in the plains, flocks of greater and lesser flamingoes observed in the distance, and more lion prides and spotted hyenas. The next day, we had our final farewell lunch at the famous Arusha Coffee Lodge, where US presidents have dined. We then set off on our long journey back to the US. All of us were impacted by the creatures and sites we saw. One male veterinarian, who seemed gruff and quiet for most of the expedition, put it best the night before we left. He unexpectedly stood up after our last lecture and proclaimed that he signed up for the expedition more as an escape from the daily grind of being a veterinarian. However, the trip made such as impression on him to the point that he realized that part of the veterinarian oath on “relieving animal suffering” should include standing up and advocating on their behalf to prevent their brutal murder, as previously occurred in the case of the gorillas and is ongoing for elephants and rhinos. All of us were moved by his emotional comments and the tears welling up in his eyes. 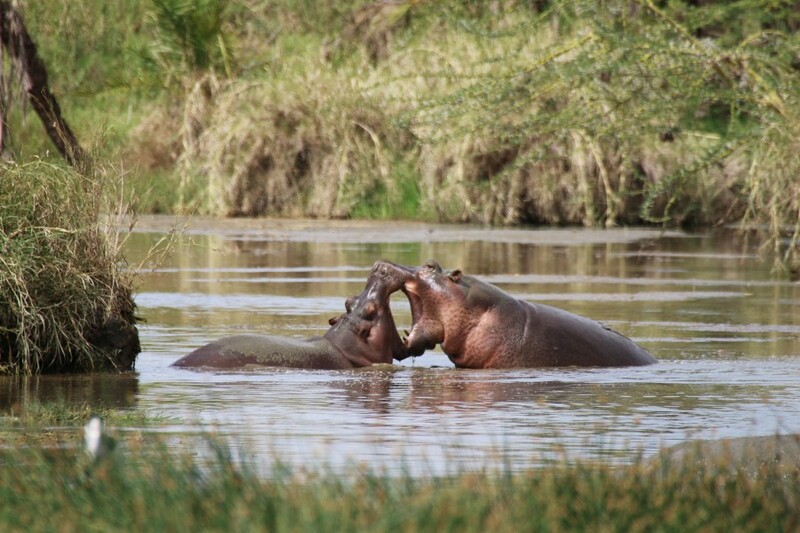 Our group was indeed fortunate to see these majestic animals, while they still exist, in their natural environments. I hope there is a wake-up call for nations to come together to prevent their extinction.